Bark Busters Home Dog Training & Behaviour Therapist for Wrexham, Chester & North Wales. 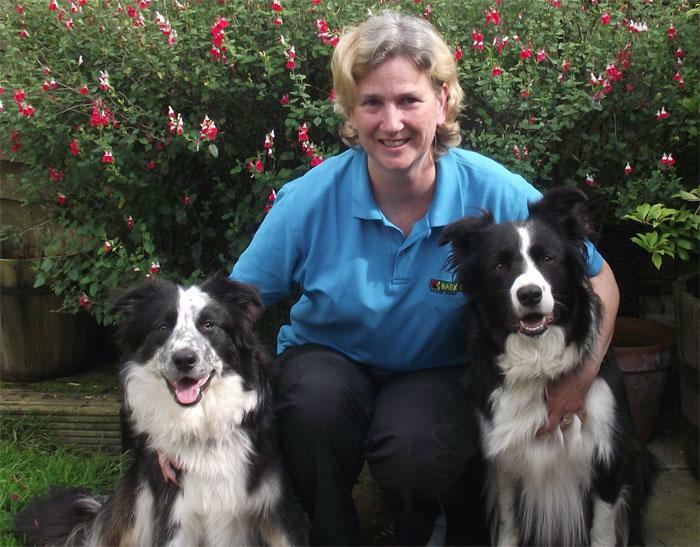 I'm Sharon Chapman, your local behaviour therapist for Bark Busters Home Dog Training Chester, Wrexham & North Wales. 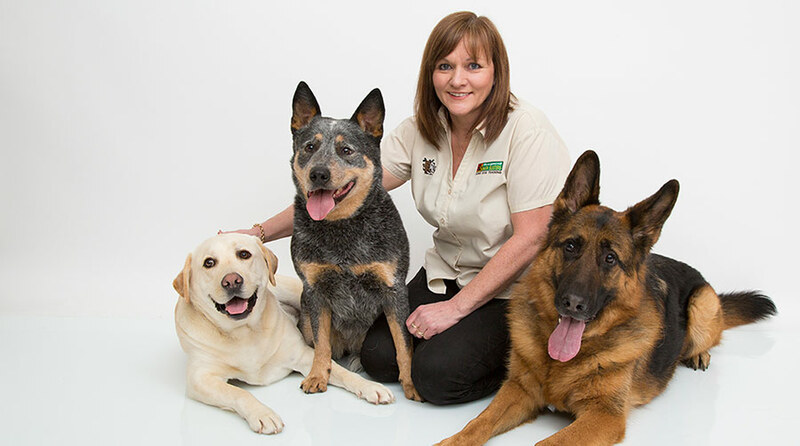 I’ve been working as a Bark Busters dog trainer and behaviour therapist in your area for over 7 years. I've met lots of dogs and their owners during this time and I know how frustrating people can find their dogs’ behaviour when they don’t understand the reasons for it, or how to resolve it. I know from experience that one of the most important steps on the road to having a happy dog and a happy family is to communicate consistently with your dog in a way they understand. Also, finding the answer to the problem behaviour comes from understanding your dog and discovering the reasons for the behaviour. I deal with all kinds of problems from barking, pulling on the lead, jumping up, and mouthing to aggression, separation anxiety, sibling rivalry and much more. My non-physical, gentle and kind approach uses the same communication systems that dogs follow naturally; body language and voice tone. I really love meeting people and passing on the information they need to fix their dog's problems. As a dog owner myself, I understand that dog training requires consistency and commitment, and the thought of taking on a dog trainer can be a daunting one. Our lessons will be informal and fun whilst also giving you practical guidance on how to bring the best out of your dog. I have been involved with dogs all my life and currently own two beautiful border collies, "Rafa" and "Wizard". Their temperaments are completely different; something that confirms to me the importance of understanding your dog. Rafa is a lovely friendly dog to people and dogs alike. Before retiring, he used to compete with me in agility quite successfully, and has also enjoyed flyball. He has also been a therapy dog and, together we made regular visits to a local school as part of the Read2dogs scheme. He was well-loved by both the children and the teachers. I’m very proud of his achievements. Wizard is my youngster. His training is coming along nicely, and he has achieved Grade 4 in agility competitions. He is slightly more reserved than Rafa, but once he gets to know you he will be your friend for life. I continue to assess dogs in and around the Chester, Wrexham and North Wales area, for ‘Therapy Dogs Nationwide’, so that people who might be struggling due to ill health can enjoy the rewards that come from the human/canine bond. I also regularly volunteer at Friends of Birkenhead Kennels, where I help to socialise and rehabilitate dogs so that they can find new homes. I have also recently completed the PDTI Level 3 Practical Instructing Course, and hold an “Applied Instructing Skills” award. I understand that both dogs and people learn at different paces and in different ways, so my training is always tailored to you and your dog. You can also relax in the knowledge that my Bark Busters Support Guarantee means that I will return to support you for the duration of the Support Guarantee you have purchased. I will also leave you with clear written guidelines, instruction and information to help you when you practice the training.